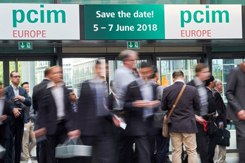 This year’s PCIM power electronics exhibition, held in Nuremberg, Germany, attracted over 10,000 visitors from around the world, a slight increase on last year’s figures. As in previous years, all the leading manufacturers of power electronics components and equipment were present to showcase their latest offerings. Download the free step by step guide and get 5 tips for making accurate power integrity measurements with oscilloscopes. Learn more in our Step by Step guide! Speakers from Renault detailed the French automakers' progress in developing with partners a dynamic electric vehicle charging technology during the keynote address at the PCIM Europe conference here last week. The partners have been demonstrating their technology on a specially built test track and showed that vehicle batteries can be charged at up to 20kW while travelling at up to 100km/h down the track. The Goal of Smart Grid deployments do not just decentralize the distribution of power generating stations, but also increases the communications intelligence that enables greater levels of power monitoring and control, recognizing electric vehicles as energy sources — as well as energy consumers — in the distribution. TDK Corporation introduces the RDEN-048050 48 Vdc nominal EMC filter rated at 50 A. Enclosed in a compact metal case, the filter utilises stud terminals for ease of connection.